I’m excited to call your attention to The National Digital Newspaper Program, the first online newspaper site I’ve seen where the comics appear to be in reasonably good resolution (you could actually print these and have it look decent)… and it’s free! Thank you, gubbmint, for doing something worthwhile for once! Unfortunately, no color, but still fantastic. 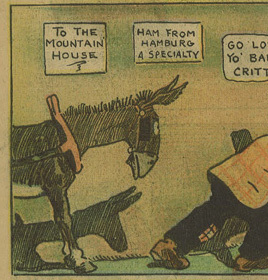 Check out the great comics sections from The Salt Lake Herald, for a good example. Those of you out there participating in the previously mentioned BIG FUNNY project will want to check this out for sure! Also, here’s an index of online newspaper digitization projects. 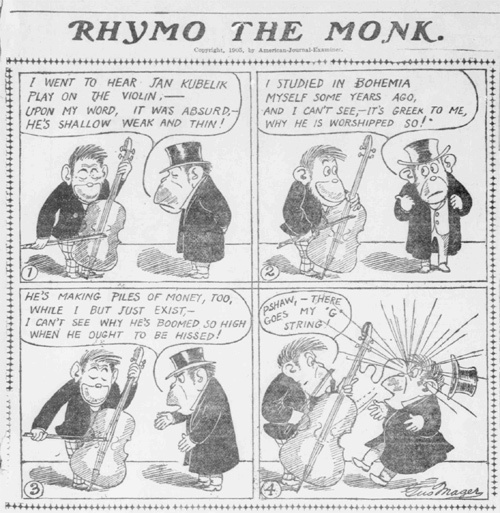 Below: An example of Gus Mager’s Rhymo the Monk from The Salt Lake Herald, courtesy of the National Digital Newspaper Program. A WHOLE LOT more at the link. The Scariest Thing in this Whole Comic Book: Save Your Hair! The Comics Journal Message Board :: View topic – Give Newspapers Some Respect! The Comics Journal Message Board :: View topic – Complete Bloom County will come out in the fall from IDW. Feb. 5, 2009: Next gasp? Future of webcomics in print? 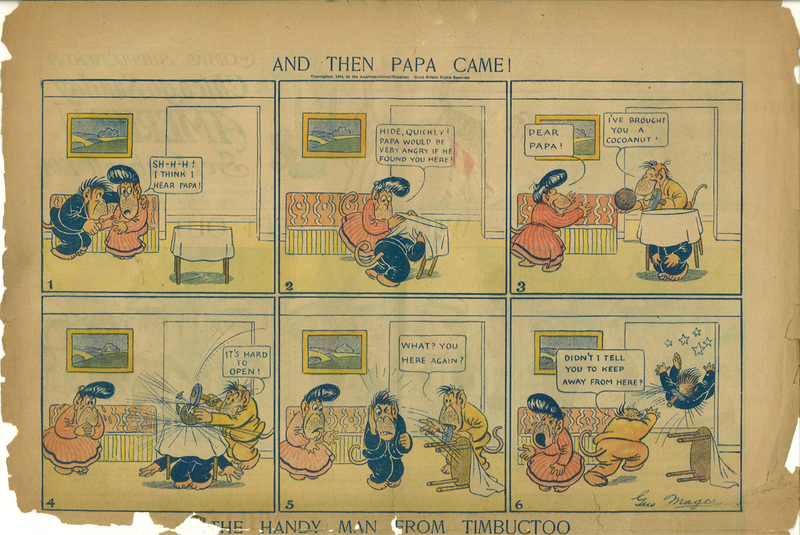 Here’s a wonderfully animated example I scanned of Gus Mager’s Hawkshaw the Detective. See previous entries I’ve made about Mager here. 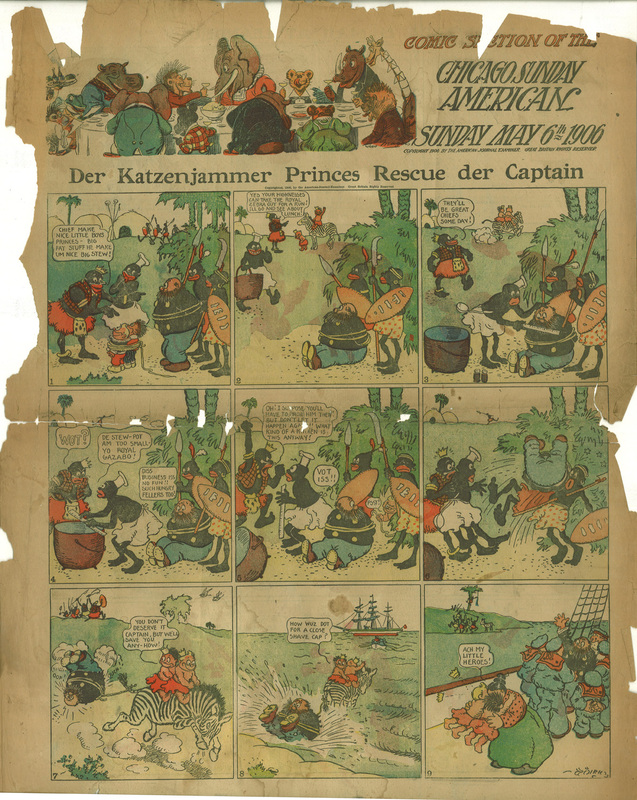 Notice how much the art looks like a Rudolph Dirks’ Katzenjammer Kids strip? That’s because Mager was Dirks’ assistant. Can anyone out there name all the characters in the footer bar? 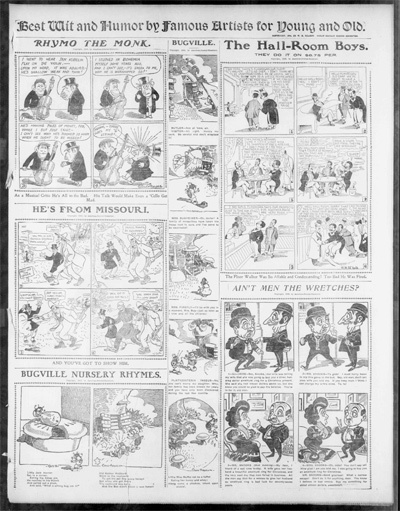 Note that this strip contains offensive racial depictions, as was typical of the comic strips of the era… if you are deeply offended by that sort of thing, you may not want to view it. See examples of Mager’s Hawkshaw the Detective on Barnacle Press here. See examples of Mager’s Monks on Barnacle Press here. 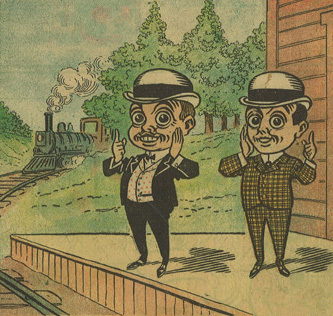 Read more about Hawkshaw the Detective on Don Markstein’s Toonopedia here. Read more about Gus Mager on Lambiek.net here. 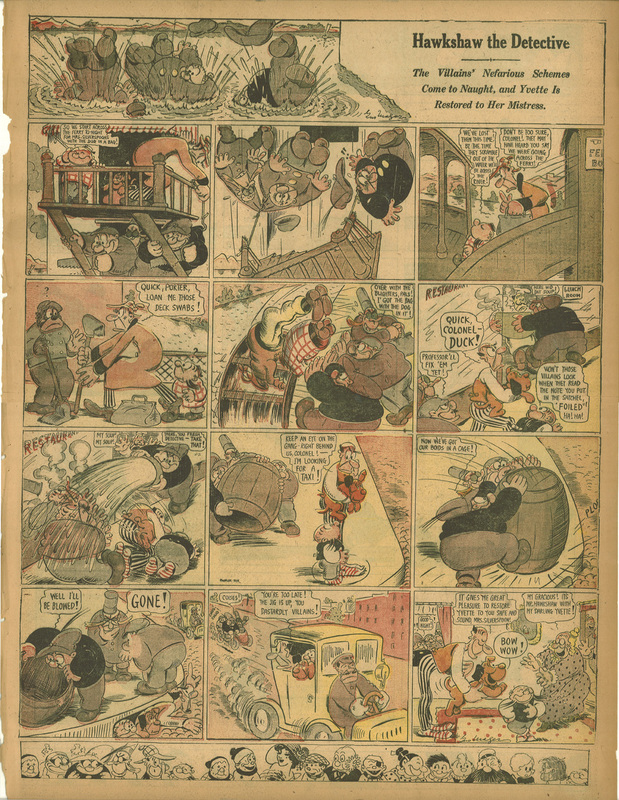 Here’s an early (September 1904) example of rarely-reprinted but excellent cartoonist, Gus Mager. He was best known for his strips Sherlocko the Monk and Hawkshaw the Detective, and was also an assistant to Rudolph Dirks on the Captain and the Kids. His “o” ending names for his monkey characters (Sherlocko, Watso, Groucho, etc.) inspired the Marx Brothers names. See more of Mager’s Monks on Barnacle Press here. See examples of Mager’s Hawkshaw the Detective here. Here’s another example of F.M. 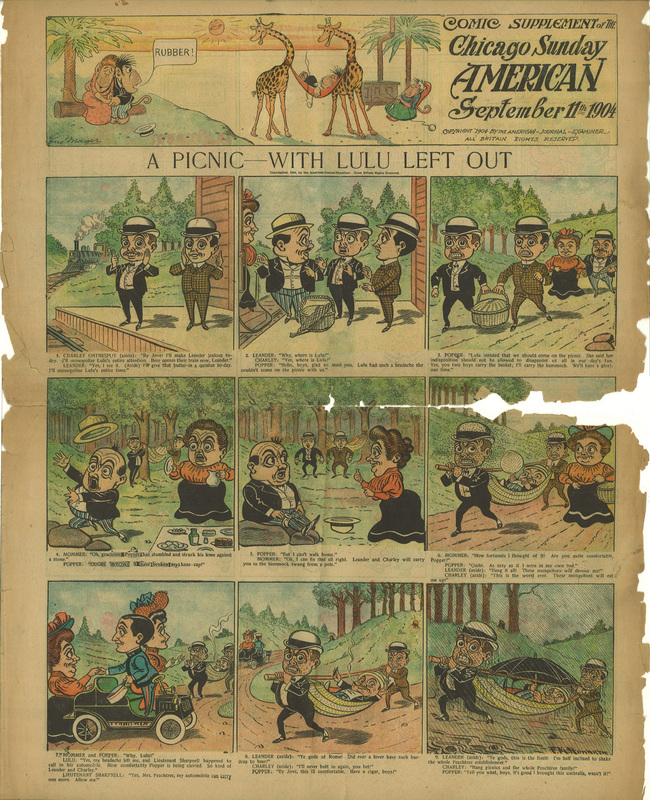 Howarth’s strip The Love of Lulu and Leander from September 11, 1904. 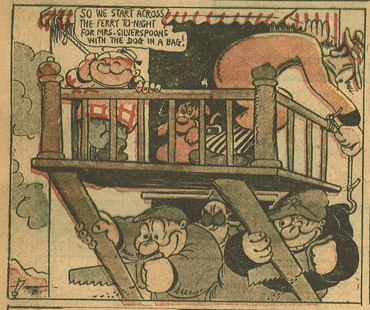 Click the image to read the strip. 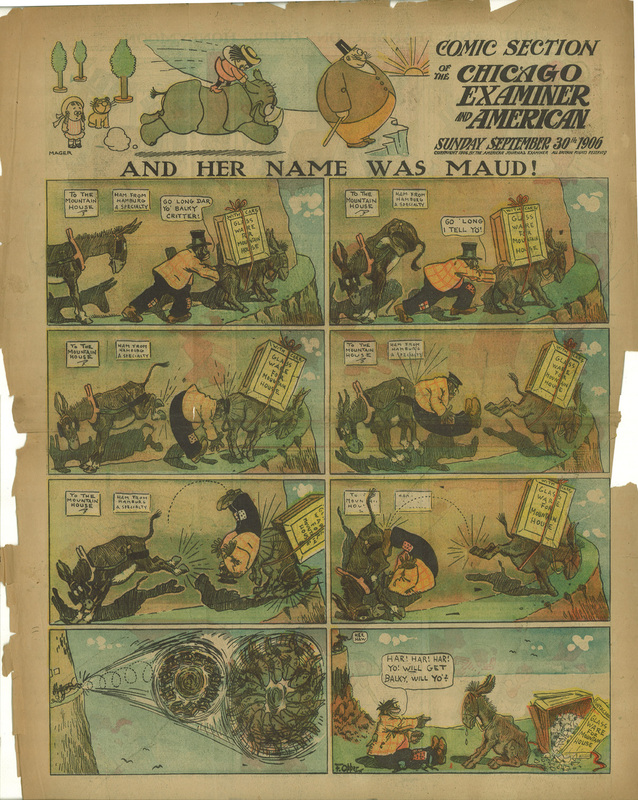 It’s a full page strip with a header by Gus Mager of Sherlocko the Monk fame. 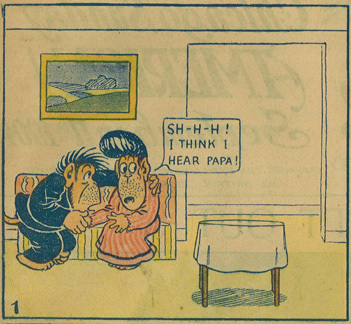 You can see more examples of this strip (and many other classic comics) at Barnacle Press.